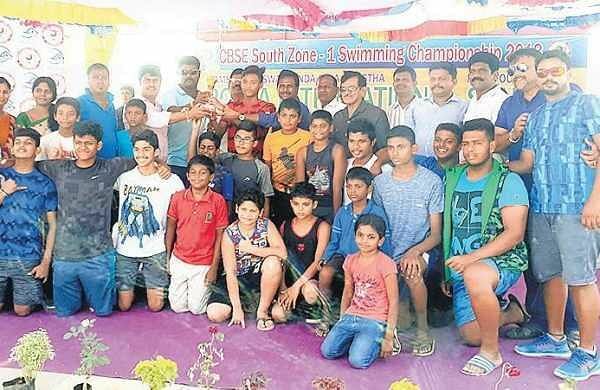 New Indian Express – CHENNAI: Riding on S Deveshs 74, Padma Sarangapani CA defeated AVM CA by 62 runs in the Velammal Cricket School Believe Yourself U-14 inter-academy tournament. CHENNAI: Riding on S Deveshs 74, Padma Sarangapani CA defeated AVM CA by 62 runs in the Velammal Cricket School Believe Yourself U-14 inter-academy tournament. Brief scores: Padma Sarangapani CA 190/0 in 25 ovs (S Devesh 74, S Ahmed Bacha 68) bt AVM CA 128/4 in 25 ovs (Seshadri 59, Nishanth 29). New pavilion at VB Nest The pavilion at the VB Nest grounds owned by former India opener VB Chandrasekhar was inaugurated by HR Srinivasan, managing director of TAKE Solutions, on Friday. Teams owned by TAKE Solutions will also practise at the VB Nest grounds at Pudupakkam on the outskirts of the city. Boys across various age groups won individual medals and the relay team too did well. Next articleHow India Vs West Indies could be a lop-sided affair?